Millennials: Should you rent or buy? 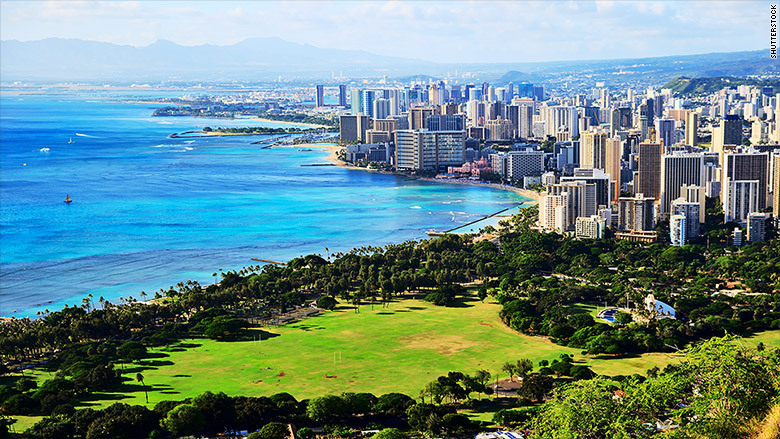 Buying a home is 5% more expensive than renting in Honolulu, according to Trulia. Millennials looking to make their next housing decision listen up: It's almost always cheaper to buy than rent. But in a couple pricier cities, renters have the advantage. In Honolulu, it's 5% cheaper to be renter than a homeowner as the median home price climbed to $612,642 in September as rents hit $2,500, according to a report from Trulia. Renting is also 2% cheaper in San Jose. For both cities, space limitations are driving home prices up to tip the favor to renters. "There are natural supply constraints and a huge surge in demand," said Ralph McLaughlin, housing economist at Trulia. On a national level, buying is 23% cheaper for Millennial households than renting, the report found. Other cities are coming close to favoring renters. "If prices in San Francisco were to increase up to $1.2 million or $1.3 [from September's $1.1 million], that would basically make it about the same cost to buy or rent." Length of residency and down payment size are the two biggest factors when calculating the rent versus buy equation. Millennials tend to move every five years and most can only afford to put down 10%, Trulia found. "As you live in a home longer, it appreciates and you build equity not just because of home price appreciation but you're also paying down mortgage principal," McLaughlin said. Smaller down payments lead to more interest payments over the loan's term. Trulia also assumed a 3.85% interest rate on a 30-year fixed rate loan, a 25% tax bracket and an itemized federal tax return. Low interest rates have helped keep buying an affordable option as prices appreciate, but if rates rise as they are expected to, more cities could tip to favor renters -- especially those in California. Orange County, San Francisco and Oakland are the most vulnerable to a rise in interest rates. An increase of a little more than half a percentage point would equalize the cost of buying and renting, according to McLaughlin. On a national level, rates would have to climb to 6.5% to make the costs of buying and renting the same.